I like the idea of using poker hand mechanics in a game. 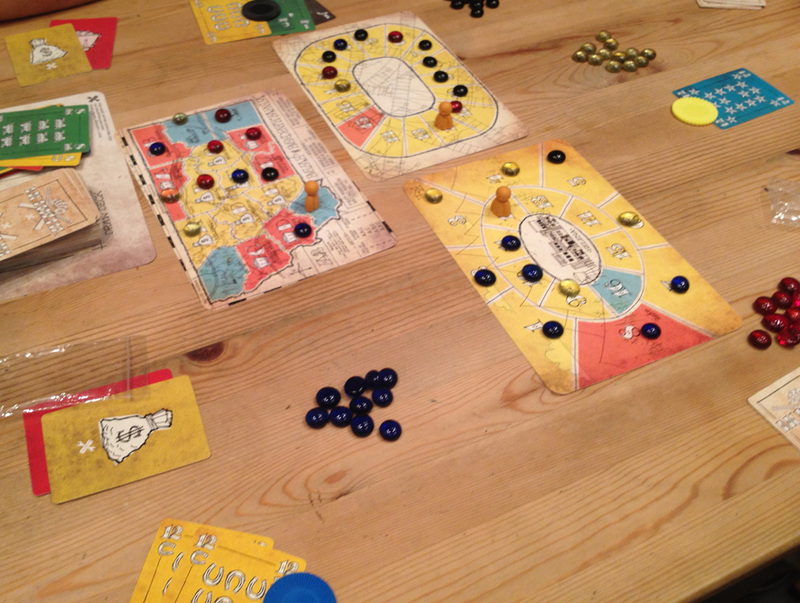 At Spiel 2011, I played a game that used poker hands but it turned out to be average so I was really intrigued when, just 5 minutes later, I noticed Montana on the Cambridge Games Factory. With a cheap price, I decided to pre-order it and it arrived a couple of months ago. 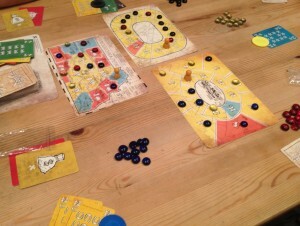 Montana is an area control game where players compete for control over 3 areas each round, and the player with the most victory points (VPs) at the end of the game wins. Players score VPs for (a) areas they control with a bonus for having multiple connected regions, (b) if they control their secret objectives, (c) if they control the most red regions, and (d) if they control the most blue regions.